You take on a great responsibility when you adopt a baby monkey. Being the guardian can be difficult, costly and time-consuming. However, monkeys can be very affectionate and loyal companions for 15 to 20 years when raised properly. You must comply with several laws and ordinances should you choose one of these pets. Start with your state law, move onto county law and end with the local, city ordinances. Where you live can greatly impact your ability to adopt a baby monkey. Call the your state's department that handles fish, wildlife and game. Ask for the enforcement officer. Ask where to find your state's animal ordinance. Keep the request simple and avoid mentioning that you want to adopt a baby monkey. You will want to read the ordinance yourself, as these laws are easily misread. Review your county's laws. Most counties have an animal control office. Ask where to find your county's animal ordinance. Again, keep the questions simple and read the laws yourself. 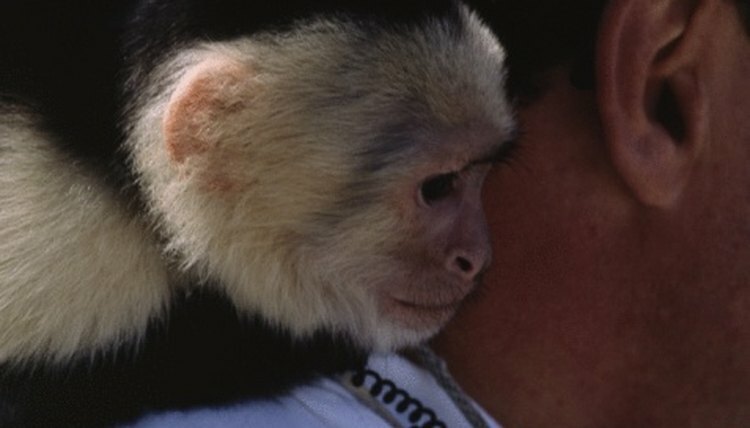 Review the list of prohibited species in the laws to see if all or any primates are banned. Sometimes monkeys will be permitted while higher primates, such as apes, are not. Find out if you’ll need to comply with a home owner's ordinance in your city. Get the proper licenses for the laws that pertain to you. Purchase the monkey from an authorized dealer. Authorized dealers are listed online. You can also inquire at your local zoo.